This website was created for you, so we’d like to hear from you. Share with us what you’re thinking, or any questions or comments you may have (or even any criticisms – ouch!). We really do want to hear them. This site is a continual evolution of information, ideas, and events to help you better enjoy and appreciate all that Lancaster and the Pennsylvania Dutch Country have to offer. Are we providing the information you are looking for? How could we be more helpful? Please use the comment form below to share your thoughts or ask a question? We’ll get back with you. Are we helping you better understand all that Lancaster has to offer for vacations, weekend getaways, and a day away from home? 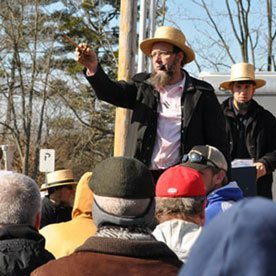 Amish-related questions – We suggest that you first review all the Amish information throughout this website. If you still have a question, then ask away. We’ll try to find the answer for you. Visitor Guides – To order a visitor’s guide for Lancaster County please call 717-299-8901. If you live in the Lancaster area, are we providing enough of the right information to help you better enjoy and appreciate what’s in your own back yard? Please tell us. We want to make this website a valuable resource for you. If you are a business or local organization that would like to be listed in this site but are not now, please send us your information below. If you’d like better exposure for your business within this website, please see our advertising page, then contact us. We’ll be happy to kick around ideas with you and see how we can help you reach our growing audience. If you have a comment or criticism regarding a specific business you saw in this website, please refer to that business’s web page for their email address or phone number. You can use the search button in this website, or check our sitemap. If you still can’t locate their information, we can try to forward a message for you. And thanks for your interest in Lancaster, PA! 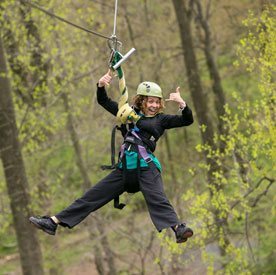 About Us – Thanks for Visiting LancasterPA.com!